Chapters From My Life: Peeing In Peace! I remember my toilet woes from the days when I got married and went to stay in my in-laws home which was in Byndoor, a tiny village on coastal Karnataka. Being brought up in a home which followed bathroom and toilet ethics, it was tough for me to adjust to a place where there were no rules for bathroom or toilets. Are there any bathroom and toilet rules and ethic you may ask in amazement, but once you give a thought to it, you will realize every home follows some of their own rules and ethics regarding bathroom/toilet behavior. Check out which of these are relevant to your homes. · Do not knock on toilet door. When they are done they will come out. · Wash your hands thoroughly after using toilet. · Clean up your mess. · Do not waste water. · Do not talk when you are pooping or peeing. · Do not hover around when others are using the toilet. · Always lock the toilet door. You may embarrass others by exposing your awkward position to them. · Do not dribble on the floor. · Flush toilets after use properly. 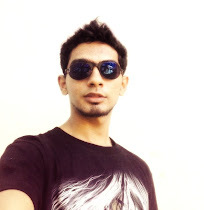 · Be fully dressed before walking out of toilet. · Toilet walls are not for your creative expressions. Leave them alone. · Make sure you have water/toilet paper clean yourself before starting your business. My elder sister was in charge of our bathroom and toilet Etiquettes. She accepted no excuses. For me it was great shock to be in a place where people did not follow any toilet etiquettes. The first time I saw a woman walking out of the toilet holding her sari high and lowering it as she walked back to her home; I was disgusted. I also ended up walking in on people pooping or peeing because they did not lock the door. The annoyance of people calling you, knocking on the door or pacing outside the toilet when you have business to do is intolerable for those who have seen better conditions. At times I would be welcomed by a load of crap left there without being flushed, or dots of urine spread around on toilet floor. I hated cleaning other people’s mess, but I could not do anything about it. It was just the way of life over there. I could not wait to get back to my home and Pee in Peace. Though we take it for granted, having a clean toilet where you can cleanse your body of toxins is a great luxury. As I complained about the annoying toilet conditions, I wondered how it would be for people to have no toilets to perform simple function which cannot wait. Girls like little Babli who have to use deserted places are not just uncomfortable, but also at risk of being attacked by rapists or molesters. If a change in toilet behaviors can be so annoying, I wonder how bad it is not to have toilets at all! The danger of using open spaces for toilets for girls hit the nation when two young girls were audaciously attacked: raped and hanged from a tree, when they went out to perform simple bodily functions. They had gone missing on the night of May 27, when they went out to relieve themselves. Going out in pairs for safety did not work for them. How safe is it for women and girls to venture under the cloak of darkness before sunrise or after sunset to relieve themselves? So far we had seen human dignity being lost; now it is their lives as well. We cannot blame our ever rising population for lack of toilets for everyone, since we see China has more than a billion people, but according to WHO only 1 out of every 100 people defecates out in the open; whereas in India, 1 out of every 2 people use open spaces for toilets. This is the highest rate in the world. Another issue with open toilets is the health hazard associated with it. Leaving bodily wastes in open contaminates food and water, causing cholera or other diseases that kill 200,000 children in India; in addition, it shunts the cognitive and mental development of children like little Babli. Dr. Bindeshwar Pathak of non-government organization Sulabh International says only 30% of Indians have access to clean and safe toilets. Why our nation with so many exotic places of worship has ignored the basic needs of human? 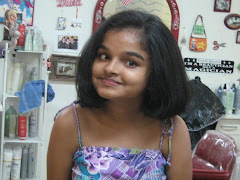 Domex has started an initiative to provide toilets for girls like Babli under their initiative known as Toilet for Babli, where "You Click Domex Contributes". You can bring about the change in the lives of millions of kids, thereby showing your support for the Domex Initiative. 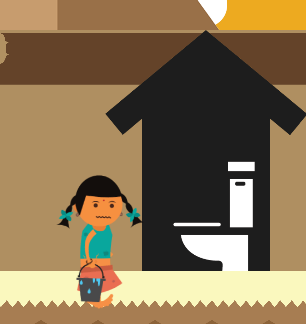 All you need to do is “click” on the “Contribute Tab” on www.domex.in and Domex will contribute Rs.5 on your behalf to eradicate open defecation, thereby helping kids like Babli live a dignified life. Let us make life better, safe and hygienic for Babli. Your click can make the difference. barbour sale outlet Think of these hastily barbour sale womens refused and said No, no, how can I let you spend money ah. Oh, how not, you wait, I buy rice ah. Dean of students waved out of the office barbour international sale language group, and then pulled barbour sale outlet out a powder, face-down laughing. cheap is to go to the disco, I suddenly remembered the day of the oath, to give the dean of students cut that damn burst tires, but due to school when patronize barbour sale outlet barbour quilted jacket sale with cheap talk, but added this crop to forget.